This succulent is one of the more visually striking – the sharp contrast between the deep green and the bright, white spots on a background of angular, reaching leaves is breath-taking to behold. Don’t let the name fool you; it’s not a cactus. Just a regular old succulent, albeit a gorgeous one. 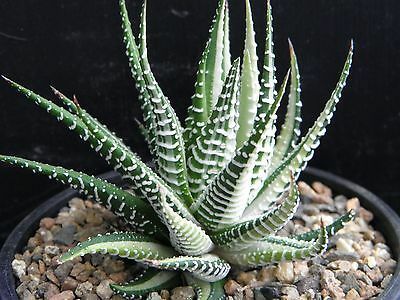 Do not confuse it with its relative, Haworthia fasciata. 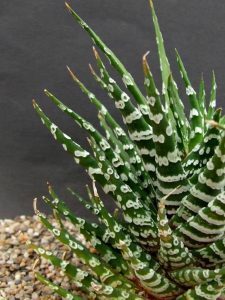 They are both sometimes called zebra cactus or zebra haworthia because of their similar appearance. However, they can be easily told apart because fasciata only has the white, wart-like tubercles on the undersides of its leaves. Attenuata has them on both sides. You’ve probably seen this ubiquitous plant before. It often adorns office spaces and kitchens while occasionally moonlighting in artsy succulent projects. 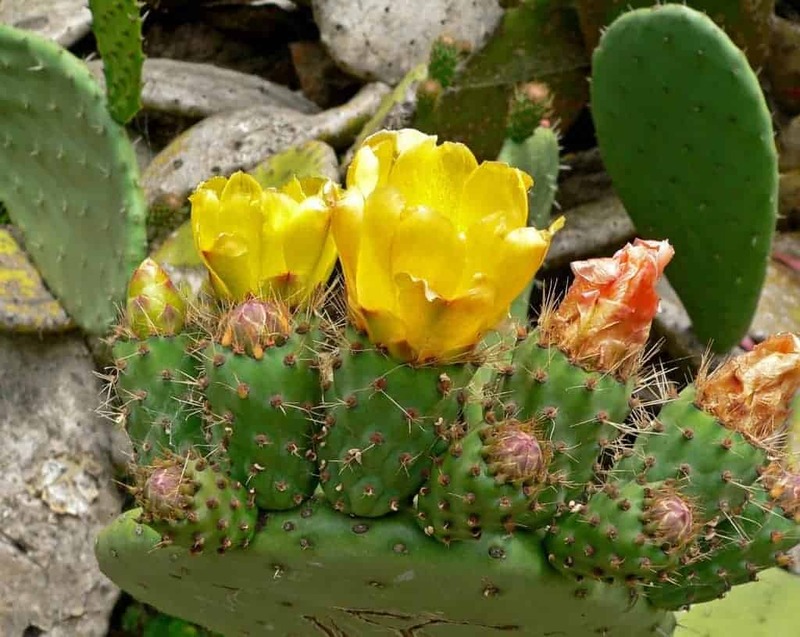 Even within the realm of succulents, this plant is easy to grow. That trait lends the attenuata the propensity to thrive in places that other succulents wouldn’t. This is why they can often be seen photographed in intricate, unique pots or planted in aesthetic-but-not-nutritious substrates. They’re great for arrangements of all kinds! Bonus: attenuata grows slowly, but that means that it is low maintenance. Low maintenance means that it is a great gift! As per usual, attenuata requires soil with good drainage. It may be more tolerant than some other fat plants, but that is no reason to deprive it of the soil it will thrive in. I would recommend, however, that you place decorative gravel atop the soil once it is rooted. It’s a nice touch. The only other consideration is that you might want to consider a deeper pot than normal. Haworthia tend to have extensive root systems. Water these plants much like you would any other succulent. More frequently in hot and dry weather, on the order of once a week or so, but about half that during the off season. They are somewhat more susceptible to root rot than other succulents, so take care not to overwater! You should note that attenuata do not like direct sunlight. They are one of the few succulents that refuse to tolerate it. They don’t want shade either, of course, so find a happy medium. This is why they do well on desks and some windowsills. 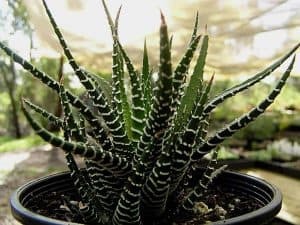 Attenuata and other Haworthia are among those wonderful succulents that do all the work for us. They occasionally produce pups of offshoots. Once they have grown to an appropriate size (about an inch in diameter) you can remove them and replant. Using sharp scissors or a knife, locate the connection to the mother and sever it as close to her as possible. You want to preserve as much of the pup’s roots as you can. Do not replant the pup for a couple of days, let it callus that wound so it is less likely to be infected. Then replant and enjoy! Carol Crompton…thank you for your info!! It was so good to get this tiny succulent at a local CVS, and I saw that it had babies coming!! It is planted in some died jute with little dirt/sand mix. I did read the directions…very minimal, and it got nice and tight in its all glass bowl-type container. All of about four inches wide!! It is growing a tiny bit daily…..there’s are two off-shoots coming , and they have gotten a bit longer since watering! I worry it will eventually need repotting!! Then what?? Thanks for your info, I will be careful not to over-do! !